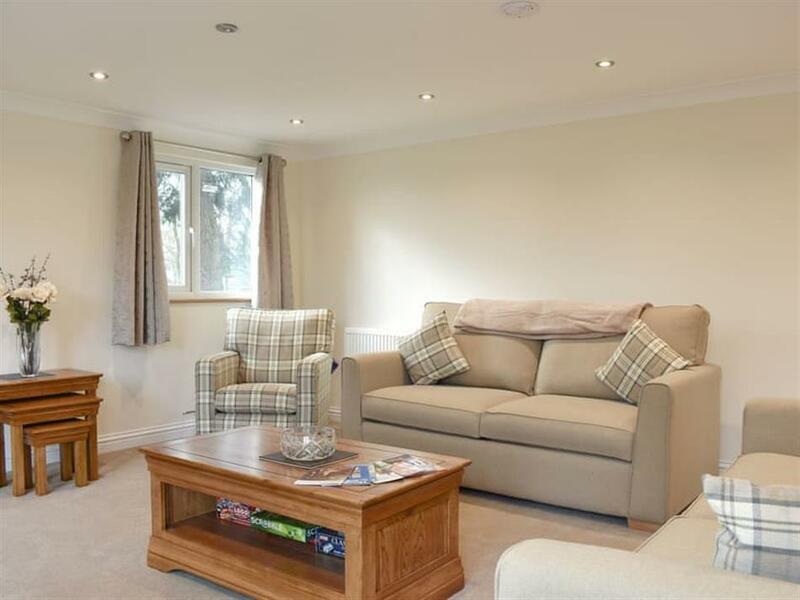 Meadow View Lodge in Little Whelnetham, near Bury St Edmunds, Suffolk sleeps 4 people. Meadow View Lodge near Bury St Edmunds is a spacious, detached lodge set in the owners’ grounds, and boasts fabulous views of their meadow where the local peacocks like to roam free. All on one level, with wide doors accessible for wheelchairs, Meadow View Lodge is an excellent rural retreat. 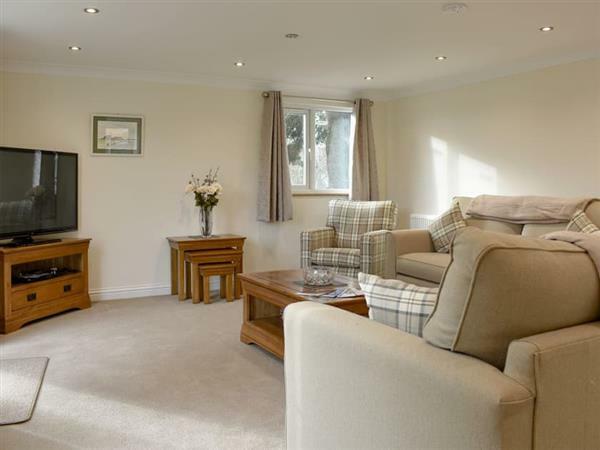 The property offers a large living room with double French doors leading onto a patio, a conservatory with views of the meadow and a large well equipped kitchen/dining room. There are two bedrooms, a twin and a super king-size, and a generous bathroom with separate shower cubicle. Little Whelnetham is a small rural village located 2 miles south of Bury St Edmunds. There is a fishing lake 200 yards away providing a scenic circular walk. The owner will provide a permit to fish where the infamous Big Doris once resided, a 63kg Koi Carp. The historic village of Lavenham is just 8 miles away where you can visit the quaint Wool Hall that was built in 1464, the Crooked House Gallery, named after the beams that have warped over time, or the Grade I listed St Peters and St Paul’s Church. Long Melford is 10 miles south of Little Whelnetham, which was made famous by artists John Constable and Thomas Gainsborough, and is one of the main filming locations for BBC’s Lovejoy. The village boasts two manor houses, an impressive village church, antique centres and tea rooms, along with country parks, riverside walks and cycle tracks. The shop is 1 mile from Meadow View Lodge near Bury St Edmunds, with the pub 1½ miles, and the restaurant is 2 miles from Meadow View Lodge. Living room: With 50 Smart TV and French doors leading to patio. Oil central heating, electricity, bed linen and towels included. Travel cot and highchair. Welcome pack. 2-acre garden with patio, garden furniture and barbecue. Private parking for 2 cars. Wheelchair access. No smoking. Holidays at Meadow View Lodge run from Friday to Friday. For a better idea of where Meadow View Lodge is, you can see Meadow View Lodge on the map below. Meadow View Lodge is in Suffolk; should you be on the lookout for a special offer, you can find all the special offers in Suffolk. It's always worth checking to see what is on offer at the moment. Do you want to holiday near Meadow View Lodge (UK10653), you can see other cottages within 25 miles of Meadow View Lodge; have a look to find your perfect holiday location.